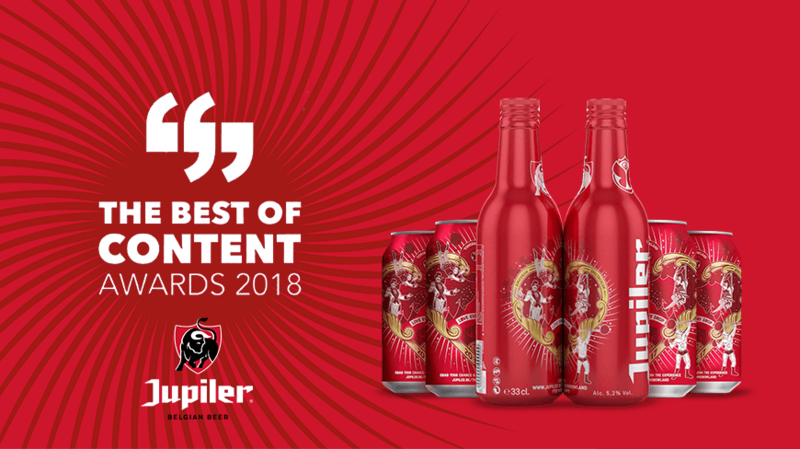 The campaigns created for Jupiler won big at the Best Of Content Awards (BOCA) with no less than 2 awards. The jury consisted of communication specialists from different fields, comparing and ranking over 100 submitted campaigns. Jupiler's “Love Every Drop” campaign won silver in the “Best use of Social Media”. The campaign was launched during Tomorrowland 2017 by Isobar in collaboration with TCC. It's content built up momentum from before the event until after it was finished, driving traffic to their website, introducing limited edition bottles, creating interaction through online games and competitions and using Influencers to generate live content at Tomorrowland. It was present on every major social platform, incorporating the magic of the biggest festival of the year, reaching millions of views and receiving a high amount of positive reactions. Also recognized by the jury was “Het kan met Jupiler 0,0%” that won a silver award as a “Best Influencer” campaign. it thrived on social media with its message of responsible drinking by public figures like Philippe Gilbert, Bouba Kalala, Jimmy Labeeu and Pablo Andres. Each Influencer got the message across in their own individual way, reaching a broad audience interested in sports, comedy and music. The campaign reinforced the growing success of Jupiler 0,0%, offering a responsible alcohol-free choice to a large audience and raising awareness around smart drinking.